The MPC voted unanimously in favor of holding the repo rate at 6.50%. This leaves the reverse repo rate at 6.25%, as it has a spread of 25bps. The fifth bi-monthly monetary policy review for FY19 was announced on Wednesday with members of the Monetary Policy Committee (MPC) unanimously maintaining status quo with respect to the repo rate. The decision was largely in sync with the market consensus. On the macros front, CPI inflation for October stayed subdued at 3.31%, below the target inflation rate of 4%, which provided room for the RBI to hold the policy rate. GDP growth, however, slowed to 7.1% in the second quarter owing to high crude oil prices in Q2FY19. The immediate concern for the RBI is the liquidity crunch in the system, as the shortfall as per estimates remains at ~Rs1 lakh cr. The MPC voted unanimously in favor of holding the repo rate at 6.50% and the reverse repo at 6.25%. The MPC reiterated its commitment to achieving the medium-term target for headline inflation of 4% on a durable basis. The stance of the monetary policy was maintained as “calibrated tightening”, implying that future inflation risks exist. To align the SLR with the LCR requirement, SLR is proposed to be reduced by 25bps every calendar quarter until SLR reaches 18% of NDTL. The first reduction of 25bps will take effect in the quarter starting January 19. Retail loans would be pegged to external benchmark rates such as repo rate w.e.f. April 1, 2019. Financial market volatility and global instability remain key risks. As for the much-awaited comments on the liquidity issue plaguing the financial system, Deputy Governor Viral Acharya said that the RBI has been employing a variety of tools to address the issue. The pace of OMOs has grown, which will continue until the end of March. The RBI also stated that it has helped ease the funding space for NBFCs considerably in the last two months and has been in sync with Sebi over liquidity concerns and the impact of mutual fund redemptions. The MPC has been quite emphatic about low inflation being one of the key reasons behind its decision to maintain status quo on rates. As the chart below depicts, CPI inflation has moderated from 4.92% in the mid-year to a low of 3.31% in October. This has been largely driven by weak food prices, which is quite surprising considering the fairly generous MSP. In addition, the policy suggests that as per initial estimates, the Rabi crop is estimated to be nearly 8% below the normal output. While fuel and core inflation may continue to remain elevated, weak food prices are likely to keep CPI inflation subdued. What is interesting is that the MPC has not changed its stance of the monetary policy, which stays as “calibrated tightening.” This is more so because the full impact of the Kharif MSP is yet to be seen and the RBI is also skeptical that the government may slip on its fiscal deficit targets for the current year. While Brent crude prices have retreated substantially, the RBI still believes that any supply restrictions in the OPEC meet could again make the commodity dearer. In addition, trade war and geopolitical concerns still persist and have the ability to further rock the financial stability of the markets. The members of the MPC have also specifically pointed to the fall in GDP growth to 7.1% in the second quarter taking the first half’s GDP growth to 7.4%. The RBI expects the full year GDP to be 7.4%. On the demand side, the second quarter GDP had shown pressure coming from weak consumption. Rural consumption had taken a much sharper hit due to below-expected Kharif output and stagnant rural wages. Presently, retail loans are linked to external benchmarks such as MCLR and base rate. As a result, retail loans (housing, auto, personal) and floating-rate loans to MSMEs by banks shall be benchmarked to the repo rate from April 1, 2019. The central bank added that the spread over the benchmark rate would be decided wholly at the banks’ discretion, which should remain unchanged through the life of the loan, unless the borrower’s credit assessment undergoes a substantial change, and as agreed upon in the loan contract. This was done to ensure transparency, standardization, and ease of understanding of loan products by borrowers. In the aftermath of the IL&FS crisis, there has been liquidity strain on the system and the RBI has been tweaking the market liquidity by consistently infusing money. RBI injected Rs86,000cr as durable liquidity in the months of October and November, taking the total liquidity injection to Rs1.36 lakh cr for the year-to-date. The RBI also mentioned that it would be enhancing the pace of open market operations (OMOs) until the end of March 2019. 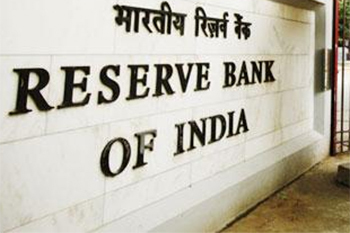 In addition, the RBI has been infusing liquidity under the LAF facility. Liquidity is one area that could come under pressure, as is the norm ahead of state and general elections. In a nutshell, the MPC has struck a delicate balance between growth imperatives and inflation fears. However, the stance of the monetary policy continues to be one of “calibrated tightening.” The RBI may have also been driven by the recent statement from US Fed Chair Jerome Powell regarding the slower pace of rate hikes in the future. We will have to wait for the full minutes of the MPC on December 19, 2018, for greater clarity and perhaps till the next policy on February 07, 2019, to see if the stance changes.